So this morning I identified the six values that Andrew and I want to intentionally infuse into our daily lives. Tonight I just wanted to follow up and make the connections between our intentional mantle and our words. We looked online and all around for some actual objects that we were willing to purchase, but we wound up coming home, digging around and putting together our own little conglomeration. 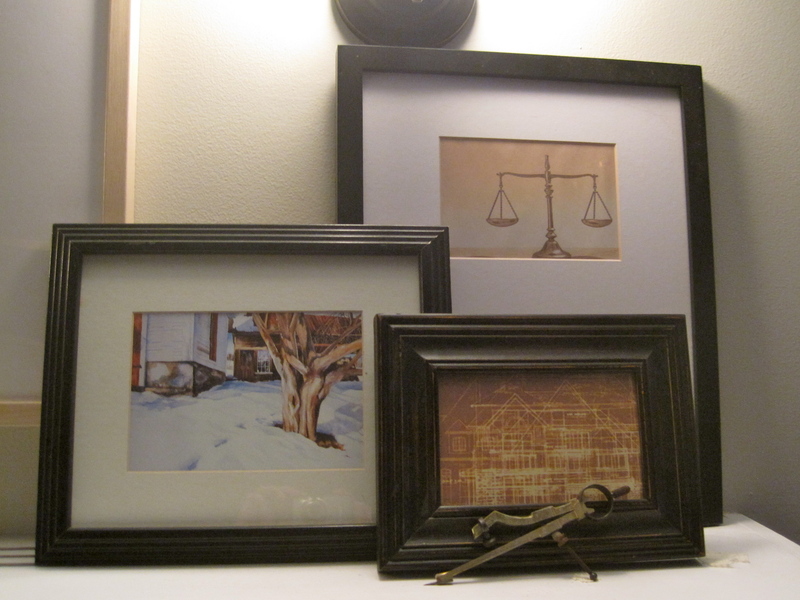 We have really enjoyed switching out the artwork over our fireplace, we find that we see it anew. 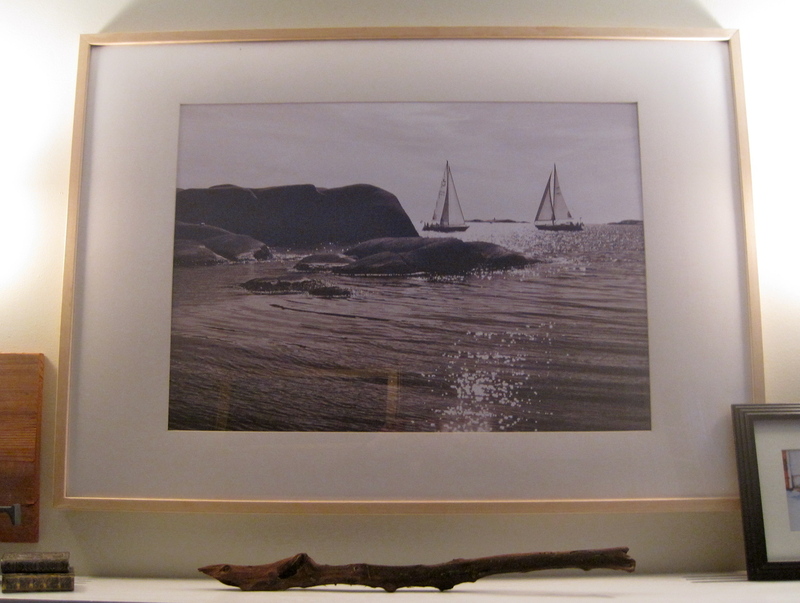 We chose this black and white photograph because of its cool colors that we wanted for our winter mantel. For us it is also a nod to our words “Adventure & Retreat.” The ocean for us is a place of adventure . . . it is also a place where we go to retreat, to reflect, to reconnect. Below the picture is a stick that we picked up on the beach to connect this Adventure & Retreat motif. We looked all over for an antique balance scale, it was not to be found. So instead we printed out the balance scale . . . we thought about getting drumsticks, for rhythm . . . but maybe we printed them out and hid them instead . . . The painting on the left is a postcard from my dad, and there is the rhythm of the seasons, represented by this season, winter. And here is our representation of foundation and renovation. 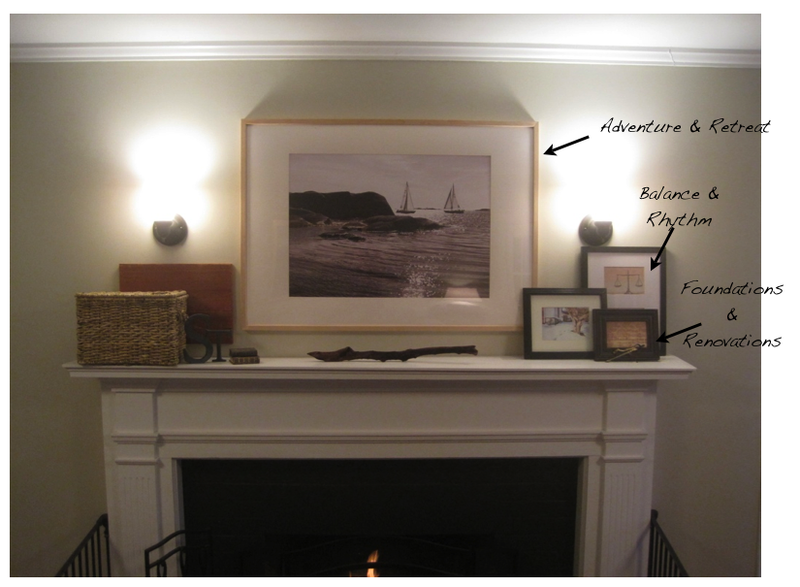 We printed out the blueprint, changing the tones to be cool colors for our mantel. 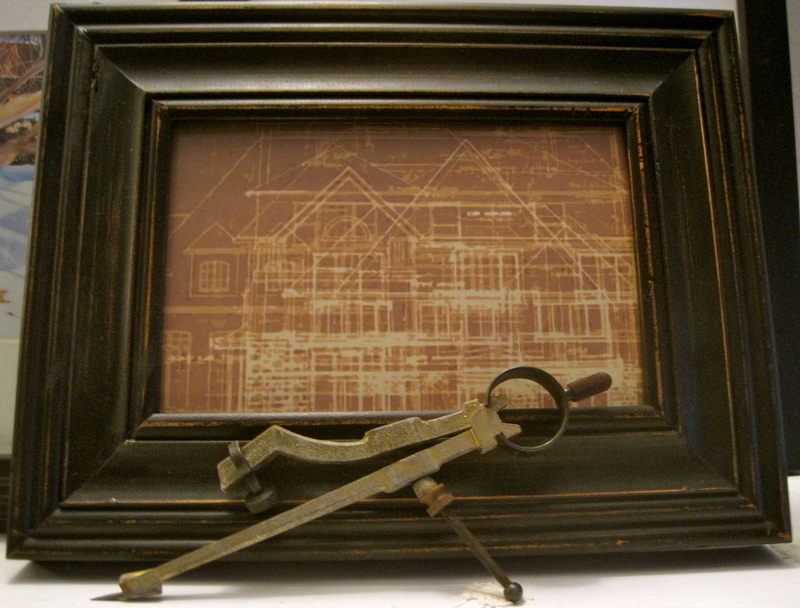 Andrew dug out this old compass to represent our renovations. So now when we look at our mantel, we are reminded of our six values.